Do you want to hear the greatest wish of most dentists throughout the country? To rarely need to see their patients! Really. Now, while you might be reading this and saying to yourself, “Yeah right, sure.” It really is the case. You see, there are plenty of people within our Trenton community that require our services, from teeth cleanings, to teeth whitening, but when we need to see a patient suffering from the initial stages of gingivitis, or advanced dental diseases, this is not our desire for anyone. This is why preventive dental care is so important and the significant role it plays in your overall healthcare. Preventive dentistry is the proactive approach to oral healthcare, from routine checkups, exams, and semi-annual teeth cleanings. These simple services can ensure long-term low cost dental care, as there is rarely a condition that sneaks up on us and we can’t see forming months if not years in advance. Now, with that said, there may very well be a time when an emergency dentist is necessary. You wake up in the middle of the night with tooth pain and you can’t seem to do anything to relieve the toothache. While you may be able to find a dentist open on Sunday, they are few, and expensive. So, we want to identify a couple at-home remedies that you can perhaps give a try to bring some short term relief, until such time you can find an emergency dental clinic or until you can get in to see your regular dentist. (On our About Us page we talk about how we handle emergencies, you’ll want to read that section). While you may have an affordable dental insurance plan, very few plans are comprehensive enough to cover every form of procedure that emergency dentists may need to execute to get you pain free. Try a simple, cooled peppermint tea bag. Peppermint tea has a natural numbing agent within the tannins. Once the tea bag has cooled, you can simply apply the cool teabag to the affected area. This will reduce the swelling, which in turn will reduce the pain you are experiencing. Then there is simple salt water. Dissolve just about a teaspoon of salt with a cup of boiling water. Once the water is cooled a little, use as you would any type of mouthwash, swishing the salt water around in your mouth for about 30-45 seconds. Spit and repeat. This will remove any type of debris as well as keep the swelling down by drawing out the liquid that creates the swelling. Repeat this process hourly until you can get in to see the dentist. These two simple solutions should keep you from climbing the walls and provide you with toothache pain relief until you can get into a clinic. As mentioned above, even the best dental insurance available will not cover all forms of dental emergencies, so do everything you can to reduce your pain by using one or both of the home remedies outlined above. Listen, if you are beginning to experience any type of gum disease symptoms, you need to hustle on in to your dentist immediately. If you are in the process of looking for a new dentist, simply schedule a consultation with us as soon as you can as there are many proactive measures that you can take, if you act quickly, to both stop as well as reverse any problems you are having with your gums. Your teeth are supported by your gums, and without strong gums and the underlying bone structure, both of which are attacked by more advanced forms of gum disease, your teeth will be severely jeopardized and you run the risk of tooth loss. 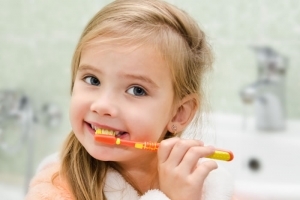 We don’t talk about these conditions as a matter of fact, but rather as a means to ensure that our community here in Trenton is aware that there are many proactive measures that can be taken to ensure overall oral health. While we can outline bad breath remedies to offset some of the symptoms, this is not a solution to the underlying problems when a proactive preventive dental plan is not adhered to. If cost is the issue, there are many discount dental plans available today, and we can discuss those during an initial consultation with your dentist. Bottom line, let’s be proactive in taking care of the teeth you have rather than having to engage in a form of restorative dentistry that will be much more costly and may involve some form of dental implants if you are to lose any of your current teeth. If you would like to consider putting together a very simple, yet proactive preventive dental plan, we look forward to you scheduling an initial consultation and meeting with us. We are certain that you will feel comfortable with our staff of professionals. We’re looking forward to meeting you.